Lots of outdoor grills go on sale in early to mid-summer, but great bargains pop up around Labor Day, too. Summer is already well underway, but there's still plenty of time for backyard barbecues. So we're here to help you get a great deal on a grill, whether you prefer charcoal or gas models — or even smokers. Read on for our in-depth guide to the best time to buy a grill. Are Gas or Charcoal Grills Better? 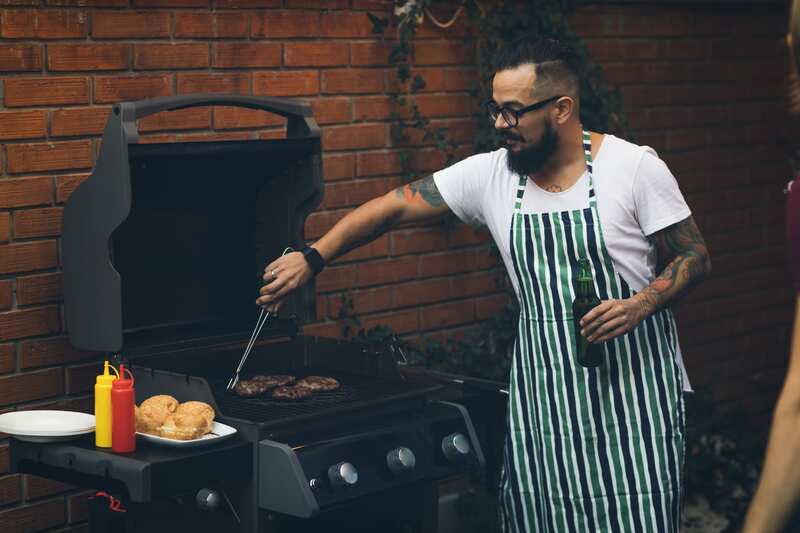 Grilling enthusiasts can list lots of reasons why one fuel source is better than the other, but it really comes down to personal preference. Size, price, portability, and capability are all factors to consider when buying a grill. Generally speaking, charcoal grills are often cheaper than their gas counterparts. However, that lower price tag might be why we tend to see fewer deals on the briquette-fueled variety of outdoor cookers. From 2015 to 2018, we saw about 1.5 times as many deals on gas grills as we did for charcoal ones. Charcoal rigs can also be lighter. Plenty of tabletop and portable gas grills are on the market, as well, though. Even portable smokers exist, so whatever kind of cooker you prefer, there's an option to fit your needs. When do grills go on sale? Well, we see many grill deals in early to mid-summer, but plenty of bargains show up during the fall, too. Here's the best time to buy a grill, with pricing information and tips for the different grill types. We've seen charcoal grills for as little as $7 — or even $5 for disposable models. But it's also common to see them priced around $25. This isn't to say charcoal grills are always on the cheap end. Bigger versions often go for around $75 to $100, or even higher. And if you're eyeing one of those huge ceramic egg-shaped models? Expect to pay hundreds. Even the smaller 13" models can set you back around $240. The best time to shop for charcoal grills is typically early to mid-summer, but September can see plenty of deals, too. The best time of year to buy a charcoal grill is typically early to mid-summer. During the last few years, we've seen more deals in May, June, and July for these cookers. Don't write off early fall, though, as we've seen a resurgence in deals in September before. When you picture a gas grill, do you see one of those stainless steel behemoths people park on their back patios? While these are common, gas grills come in all shapes and sizes. They also come in a range of prices, from as little as $14 for portable models to several hundred dollars. Select models will even set you back more than $1,000. Additionally, you can buy a gas grill that's fueled by propane, natural gas, or even a combination of gas and wood or charcoal. 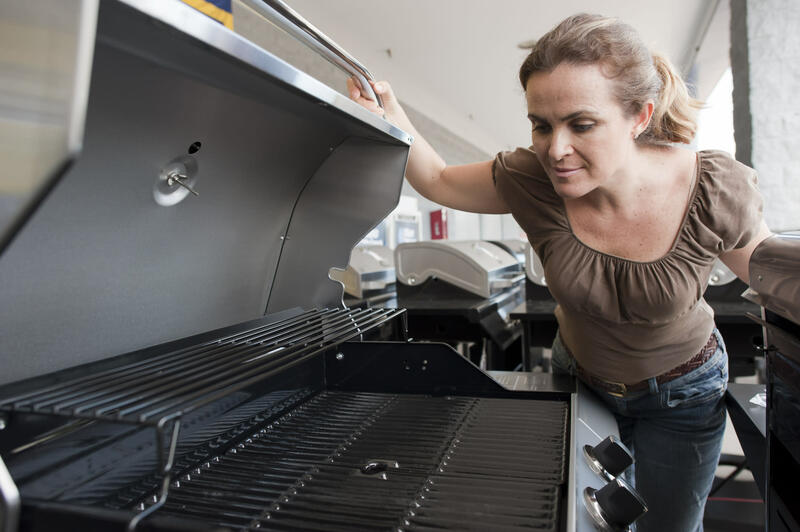 If you're shopping for gas grills on sale, early to mid-summer is when we tend to see the most picks. Oftentimes, close to 20 deals pop up per month in May, June, and July. That's a fair amount of bargains to choose from when you're picking a suitable device for your grilling sessions. Smokers are available in gas, charcoal, wood, and even electric varieties, so selecting one to fit your needs can feel overwhelming. It's also a bit harder to pinpoint the best time to buy one of these specialized machines. During our research, we saw a fair amount of deals on every kind of smoker. However, they were spread out from early summer to early fall. A few years ago, we saw more deals evenly spread out from June to October. 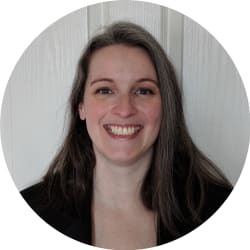 But recently, we've seen a higher number of deals in May. If you purchase a smoker at the beginning of summer, at least you have the bulk of a season to smoke all the meats you can get your hands on. First, what qualifies as a "small" grill? Most retailers seem to categorize small grills as those between 13" and 22.5". These can be charcoal or gas, although most traditional grills will fall into the charcoal category. However, you can find camp stove and grill combos powered by gas that are on the smaller side, as well as freestanding models that fold up for easy transport. If you're on the hunt for one of these cookers, be sure to check for small grills on sale in May and July. As far as price goes, you can find charcoal models for around $20 on the cheaper end of the spectrum. Even small ones can climb to over $200 if you're looking at ceramic versions, though. Shopping for gas-powered grills? Many tabletop models can be purchased for under $100. If you're looking at heavy-duty or freestanding models, those can cost closer to $100 or even $200, depending on brand and size. What Are the Best Holiday Sales for Grills? While grills might be more useful when purchased around Memorial Day and July 4, we tend to see only modest discounts during these holidays. The most common BBQ grill sales are between 15% and 25% off, which is still a nice perk if you need a new cooker for the summer season. During Labor Day sales, retailers like Walmart cut grill prices by up to 60%. However, if you can hold off for a bit, you stand to save more by waiting for August or even September, when Labor Day sales pop up. That's when retailers like Walmart cut the prices on grill stock by up to 50% or 60%. When Do Grills Go on Clearance? If you want to wait for an even better score, we see the most Editors' Choice-worthy grill deals in early fall. It's a good time to shop gas grill clearance models. In fact, half the Editors' Choice grill deals we saw last October were for gas-powered models. Fall is a good time to look for clearance grills in general, too. In October 2016, 39% of the grill deals we saw were Editors' Choice picks. And last year, September boasted 31% Editors' Choice grill deals, while October had 32%. We're expecting to see similar numbers this year. Where's the Best Place to Buy a Grill? When doing our research, we found that Walmart had the most grill deals. Even better, the megaretailer offers a wide variety of different types. Whether you prefer gas or charcoal grills, or even electric ones, Walmart is a good place to start. If you're wondering where to buy a grill and want to shop elsewhere, Sears and Amazon have boasted plenty of deals, as well. Sears often has Kenmore gas grills on sale, although it has charcoal versions, too. Amazon offers a wide range of cookers — and Prime members can often bag free shipping. Home Depot, eBay, and Target also boast higher amounts of grill deals. Be sure to check them out when you're shopping, so you know you've covered your bases. Unfortunately, you shouldn't expect to see a ton of grills at Lowe's. We found few picks from Home Depot's rival, although a handful were still worth checking out. Readers, what kind of grill do you prefer? Will you buy one this year or wait for next summer's BBQ grill sales? Let us know in the comments below!